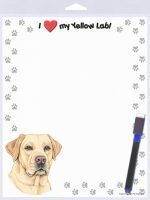 Our Yellow Lab stickers are a colorful and fun way to show the love you have for your dog. Place these stickers wherever you’d like-your car, a treat jar, journal, laptop, the ideas are endless! The top of the sticker says “Simply the Best” and the bottom has the name of your favorite dog breed. 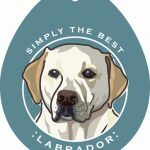 The center of the sticker features the playful artwork of your favorite dog breed. Each circular sticker measures 4 inches by 4 inches. 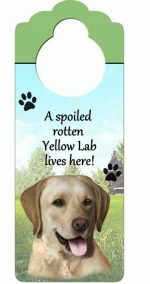 The glossy coat seals in the vibrant colors of the sticker. I I had one of these stickers on the rear window of my car…my window was broken and they couldn’t save my sticker!! I searched on line for a replacement and luckily found DogLoversStore🎉. Bought my husband one for his truck, too. 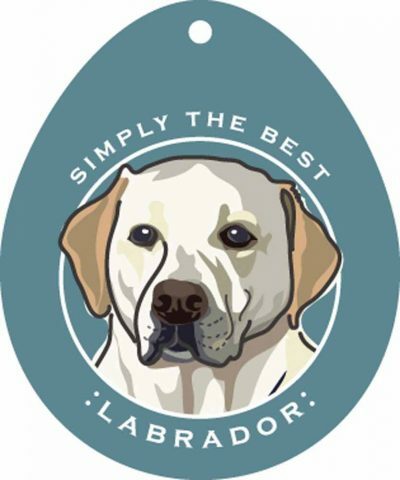 Great resemblance to our special boy…bought one for each car…so glad to have found DogLoverstore! !